Just one day after the announcement that the Sun Devils will play No. 21 Fresno State in the Las Vegas Bowl, the team said that star wide receiver N'Keal Harry will not participate in the bowl game. Last week, Harry announced his intention to forgo his senior year and enter the NFL draft. Coach Herm Edwards also announced Harry had signed with an agent on Monday. "After thorough consideration and consultation regarding N'Keal Harry's future prospects with our coaching staff, administrative staff and N'Keal himself, we have collectively determined it is in his best interest to forego the Mitsubishi Motors Las Vegas Bowl game and focus on his transition," Edwards said in an official statement. "We wish him the best and know that he is a Sun Devil for Life." Harry will spend the next five months preparing for next April's NFL Draft. Harry has been projected by many as a top-two receiver in the upcoming draft class. Harry finished his career with 213 receptions and 2,889 receiving yards. Both marks rank third all-time for any Sun Devil. Harry finishes with a Pac-12 All-First Team nomination from his sophomore campaign and is likely to receive another for this year's performance. He is currently a semifinalist for the Biletnikoff Award, an award given to college football's best receiver. Harry finished this season with 90.7 receiving yards per game, the third-most in the Pac-12. He also finished with the fourth-most receiving touchdowns in the Pac-12 this year, scoring nine. Reach the reporter at jhorst2@asu.edu and follow @HorseySeven on Twitter. 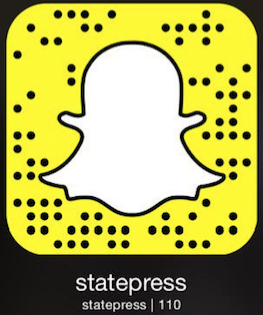 Like State Press Sports on Facebook and follow @statepresssport on Twitter.